Our latest data story highlights some of the historical federal spending patterns for several grant programs featured in President Obama's budget proposal for fiscal year 2013. As part of President Obama's budget proposal for fiscal year 2013, the White House released a series of tables that show, for each state, proposed federal spending amounts for 34 major state and local grant programs: everything from food, nutrition, and health aid to transportation funding. These programs account for almost 80 percent of total grant spending by the federal government. In the coming weeks, NPP will be releasing them in an electronic, downloadable form. In the meantime, the historic spending data for many of these programs are available in the Federal Priorities Database. Just a few examples are the Children's Health Insurance Program, Head Start, Medicaid, and the Public Housing Operating Fund. 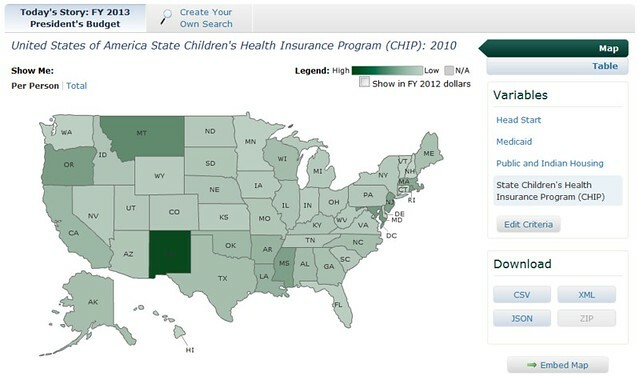 See how federal money from each of these programs flows to the states and counties here.